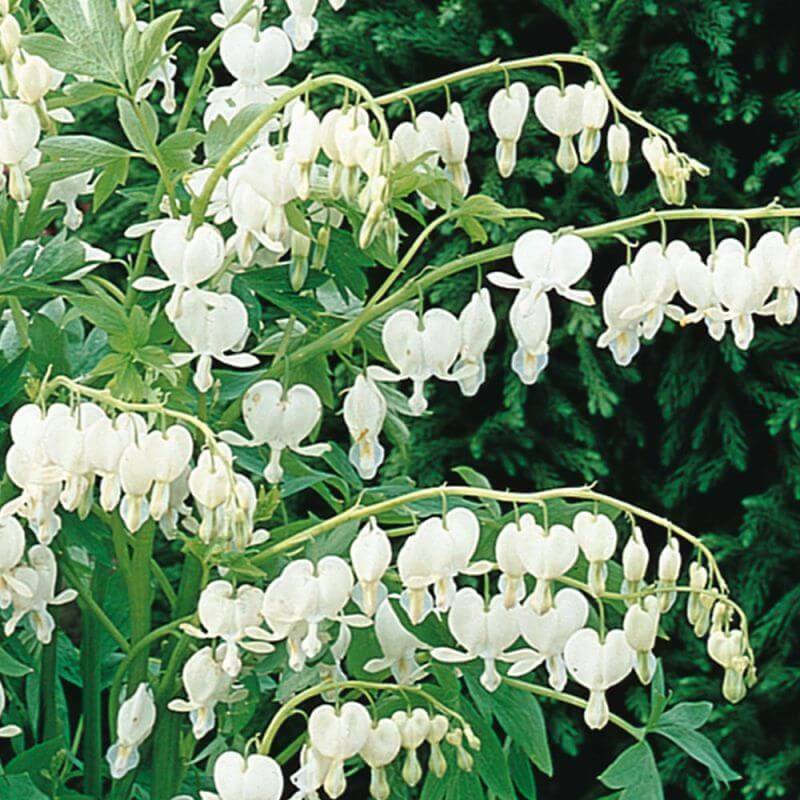 Dicentra spectablis is also known as Venus's car, Lady in a bath, Dutchman's trousers, or Lyre-flower. It is native to eastern Asia from Siberia south to Japan. This herbaceous perennial is the first plant that stole Peters heart as a first year apprentice way back in 1982, and he is still fascinated by the beauty of this plant today. Spring flowers of branching racemes of gorgeous pendant white heart shaped flowers with white tips. Foliage is soft and fern-like.